Accurately reads test strips – eliminates the guesswork! 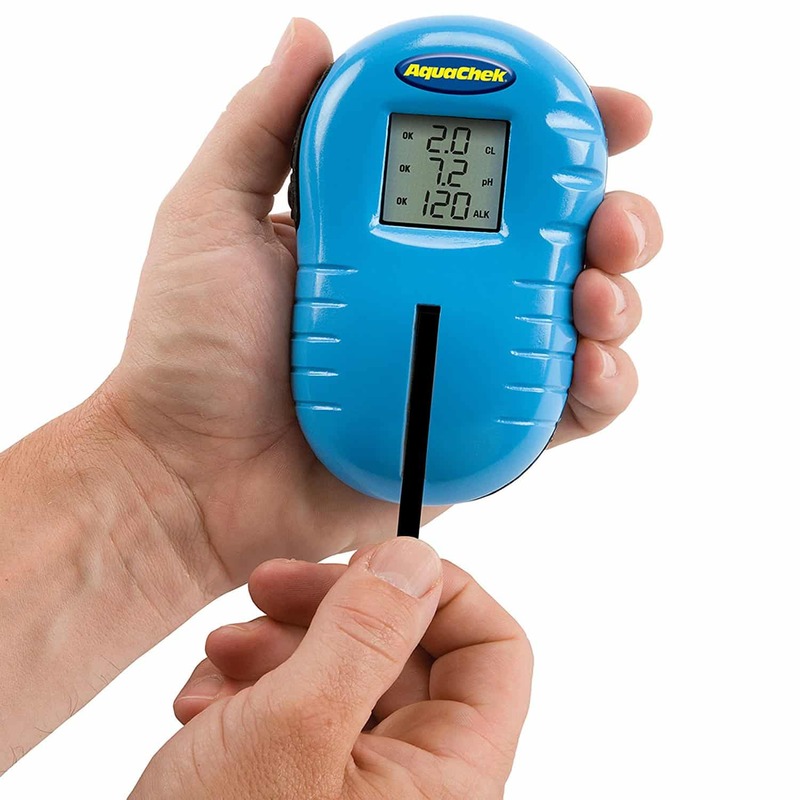 This handy test strip reader was developed specifically for the pool and spa owner. Accurately reads test strips – eliminates the guesswork! 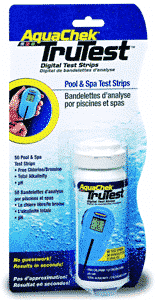 This handy test strip reader was developed specifically for the pool and spa owner. Accurately reads Free Chlorine, Bromine, pH, and Total Alkalinity on test strips in 15 seconds without visual color matching. Takes the guesswork out of visually reading test strips – Great if you are colorblind! Lightweight strip reader is handheld, water resistant, and the large LCD screen is easy to read. Comes with 25 TruTest strips. 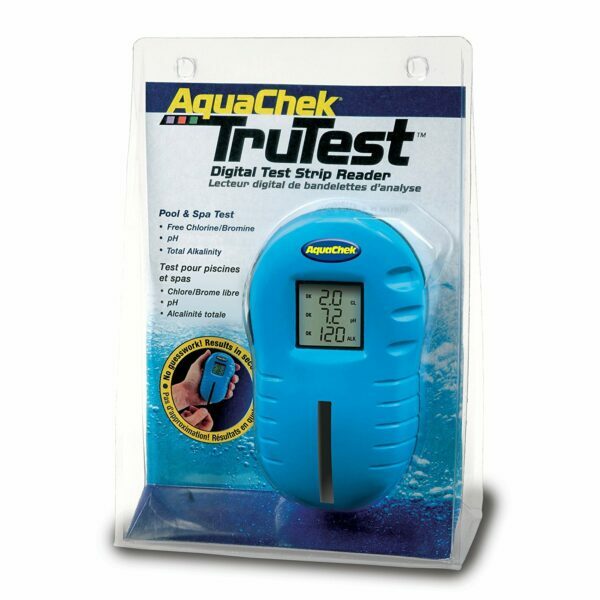 TruTest will only read “TruTest Digital Test Strips.” Requires 2 AA batteries (not included).Test strip reader will only work with the TruTest Digital Test Strips (NP208). 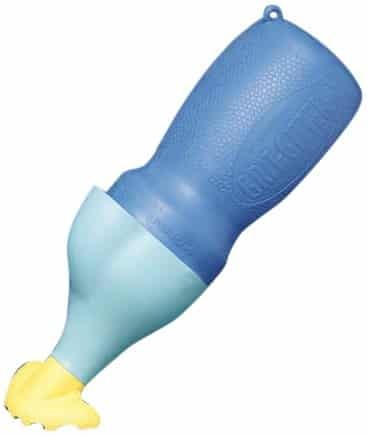 Product should not be used in direct sunlight.